I started this little project with an idea that I had seen on pinterest. (I have recently joined and become totally obsessed with it!) 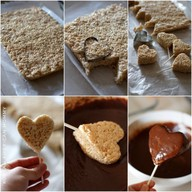 They were rice krispie treats cut out in the shape of hearts and then they were dipped in chocolate. 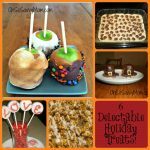 I have done so many chocolate dipped treats lately that I thought that I would try making these but a little differently. Well lets just say that everything I did failed completely! Really! Nothing was working out for me. But in the end we had some really cute treats and my kids loved them! So we started off making a batch of Rice Krispie Treats. The kids were “helping” and we ended up with a few extra marshmallows in our pan. No big deal I thought. That will just make them yummy and soft! While we waited for them to cool we colored some frosting pink. Once they were cooled we cut the treats with cookie cutters. But were oh so yummy! So even though they didn’t work out as expected or planned they did end up being very yummy treats and the kids had so much fun! Also on a side note, after we made these I was talking to a friend of mine and she has a daughter that has egg allergies just like my kids. She said that when her daughter goes to birthday parties she gets special treats to eat while everyone else eats cake. And what it actually is, is rice krispie treats frosted like the cake and cupcakes! I had never thought of this before! 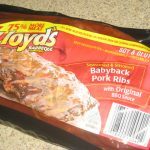 Such a quick and easy alternative for some of us that have to battle with certain kinds of allergies! I’m definitely going to be making these and taking them the next time my kids go to a birthday party. Holiday Cooking! 6 Delicious treats your kids will love to help you make! I love this. Was the topping just coloured icing sugar with sprinkles? Thanks for sharing. I just used a can of frosting from the store and added food coloring to make it pink. You could also buy the Strawberry flavored frosting and it is already colored pink. For the sprinkles I just found cute Valentines day sprinkles down the holiday aisle at the store. I can never get any cute rice krispie treats to turn out! But, they still taste yummy! Looks like they were enjoying theirs! Have a great day. If you're interested (& haven't already joined) I have a Google + hop, a Twitter hop and a Pinterest hop going on right now! Have a wonderful Wednesday! Sounds like you had a lot of fun and a good day :) Way to make the better of a situation. Such a cute idea!! Thanks for sharing!!! 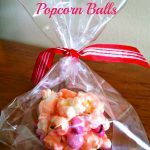 I love makeing treats with my kids, it seems that they enjoy them more when they participate. These look like so much fun. This seems to be very cute and funny. I think this is the perfect way of making fun with kids. This kind of fun activities shows the creativity of kids. Thanks for sharing such great pictures. 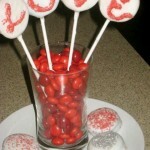 The treats looked yummy and the kids will have a wonderful memory with their Mom. Thanks for the ideas.